How to quote special price for travel agencies? 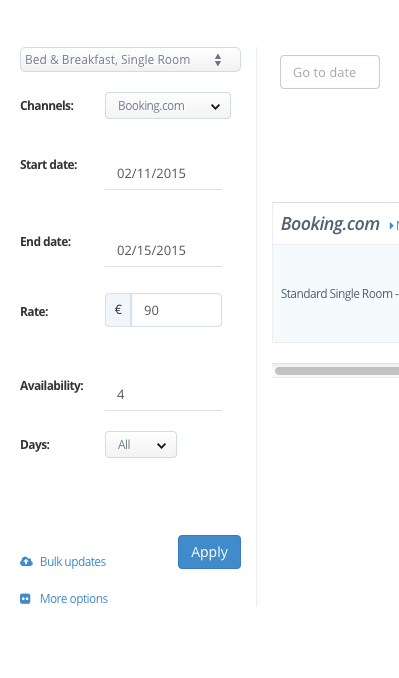 On the left hand side menu please select the room type, the channel (travel agency) and the date range you want to update, determine the new price, availability and days, and then click the Apply button. Over the preview screen, please check your prices and availabilities and then click the update button. NOTE: Giving different\special prices for each channel might result in rate parity issues.